What it does differently from the two is bring forth a vibrant dance pop sound, and the MV is a hilarious upbeat affair to match. The boys men of g.o.d really know how to bring out their personalities. While the purpose of their acting is to be crazy, they somehow manage to still be endearing. There is also a great throwback to their past songs at the end which adds onto a very memorable MV. 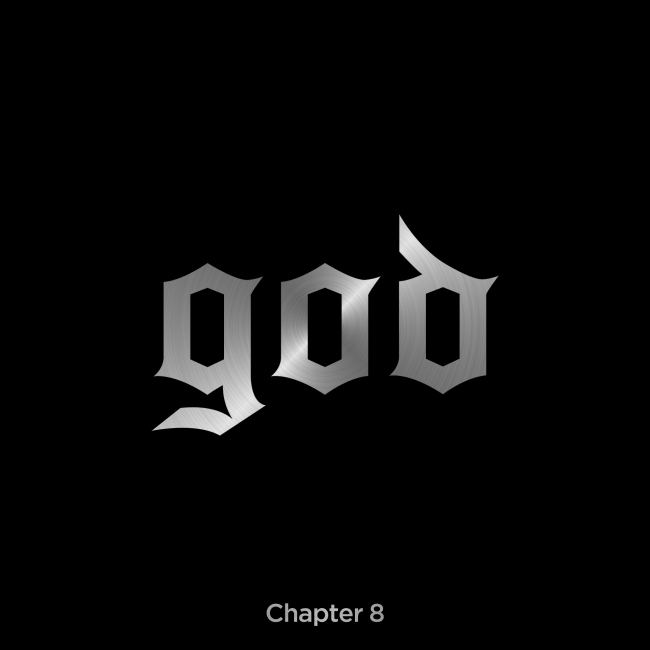 The video does a wonderful job of showcasing g.o.d and their eccentricities. We get to see the members play characters working in different occupations. Park Joon-hyung is a tire factory employee, Kim Tae-woo works at a kindergarten, Danny Ahn is a club owner, Yoon Kye-sang is an office employee, and Son Ho-young ‘boxes’ for a living. At the start of the MV, the members meet at the rooftop and catch up on each others’ current jobs and such. However, as the viewers later see, things aren’t as black and white in their everyday lives. Every little thing becomes exaggerated in each of the members’ positions. They get overwhelmed, and then they things start to get crazy. 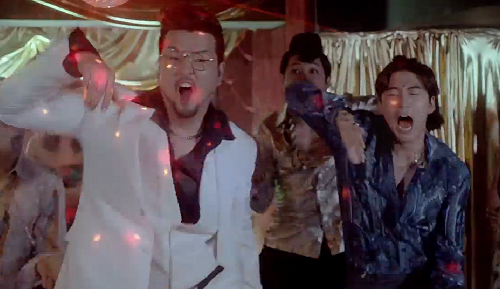 What is great about the video is the effects and situations that lead to each member going insane. Yoon Kye-sang’s office job leaves him despondent. The straw that breaks the camel’s back occurs when his boss shouts at him. Her excessive spit showers him, and suddenly he loses his mind and starts dancing in the middle of the office. 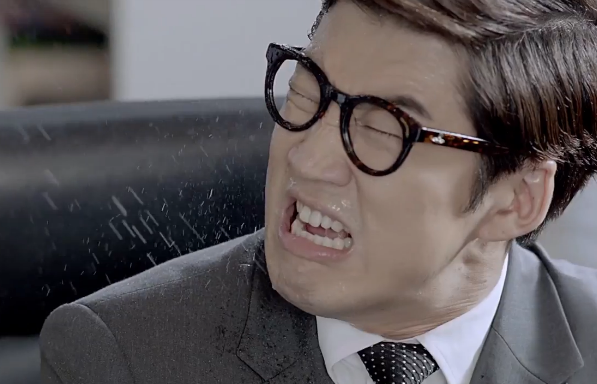 Kim Tae-woo deals with his failed love life and ‘children’ who start to get out of his capacity to control. Danny Ahn’s club has an older audience, and when he loses his focus behind the DJ set, they get irritated and leave. Song Ho-young gets paid to take beatings and gets knocked out by a tall man who passes by. As great as these all are, my favorite is Park Joon-hyung getting taken away by the authorities. He has a drink and thinks the lady working at the food stand is flirting with him. This leads to his deluded imagination of events, though we see the reality through a security camera. Even though the video is stellar in presenting each member individually, there is a great, separate part at the end when they all come together. What g.o.d is especially known for is their synchronized dances. In “Saturday Night” there is a side head bob type dance with great facial expressions to boot. It seems easy to do and can probably add onto their vast collection of memorable dances. At the end of the video, the members come together to dance in a retro flashback fifteen years ago. They dance to their old hits and exaggerate all of the moves. It is equal parts hilarious and nostalgic for people who grew up listening and watching g.o.d perform. In terms of the song, the group enlisted help from popular producer of the moment Duble Sidekick to get a funky song. With a hint of disco, electric guitars, horns, rap verses, and pop melodies, you would think the song would sound disjointed. Instead, it somehow all comes together cohesively and makes for a great listen. The energy from the track is positive and uplifting. Lyrically, the chorus is very straightforward, but the rap verses get a bit deeper. Essentially, the song implores the listener to dance and just enjoy their lives. Yoon Kye-sang’s rap has more thought provoking lines. As with the MV, there is an undercurrent of disillusionment with the work life balance. The group tries to suggest a different way of looking at the cards we are dealt with. Although things may be hectic in these certain parts of their lives, g.o.d hopes the viewers and listeners will let those worries go and cherish the leisure time they have. Overall, “Saturday Night” is probably one of my favorite releases this year. The track is fun, and these veterans know how to put together a great video. The MV allows each member to shine on his own, but it is also awesome in the moments when they come together as a group. With equal parts nostalgia and personality, g.o.d is back, and they seem to be enjoying every moment of it.